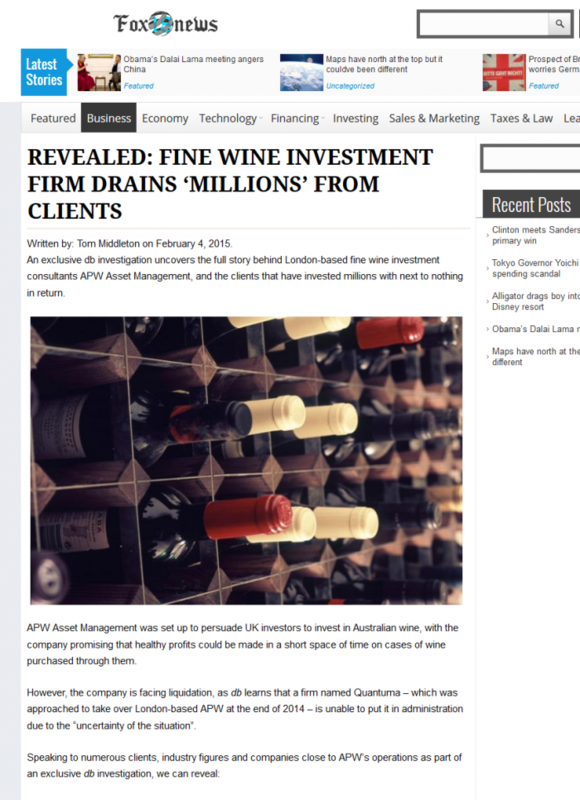 APW Asset Management really went to town with their efforts to hide the negative content on the internet. Their fake DMCA campaign ran from 4th May 2016, to 17th June 2016, between which they managed to file at least 4 fake DMCA reports. Not incomplete or improper DMCAs, but rather a full-fledged conspired campaign where their hired gang of cyber criminals set up fake news websites (made to impersonate big News Media Corps), plant content and then file DMCA notices at Google, appearing to come from these Media Giants. All in order to suppress genuine news article and hide it from public eyes. Supposedly written by a journalist ‘Tom Middleton’ , on 4th Feb 2015. 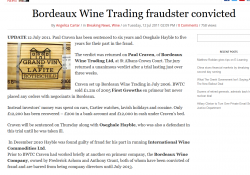 However, a quick archive, and the wordpress media image (http://fox18news.com/wp-content/uploads/2016/05/wine_cellar_rack-640×427.jpg) reveals that the article was posted in May 2016. 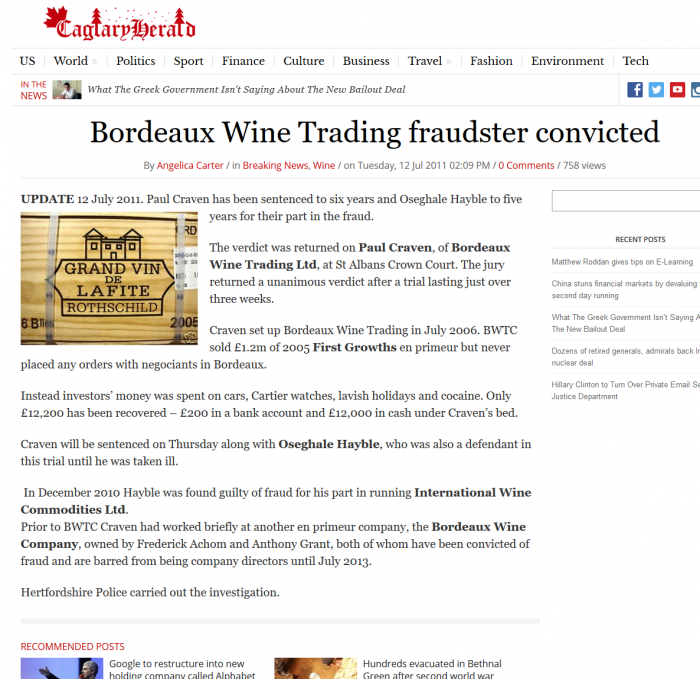 Six images posted on this ‘original’ article, are hosted at thedrinkbusiness.com , the website they claimed had copied their article – http://www.thedrinksbusiness.com/wordpress/wp-content/uploads/2015/02/apw3.jpg , http://www.thedrinksbusiness.com/wordpress/wp-content/uploads/2015/02/6a00e54fc8012e88330133ee4b30f9970b2.jpg and 4 more. Lazy. The least they should have done, is imported the images and hosted it on their website. There is no company registered in the name of ‘FOX 18 News Network, LLC’ in USA. The obvious attempt is to impersonate ‘Fox News Network, LLC ‘ , the one and only Fox News. As per hosting history, the domain was parked until 4th March 2016, after which a wordpress theme and some random articles were uploaded to it. The website did NOT exist before March 2016. Period. We can go on with dozens of other points to prove that this cheap looking news website is fake. The social media icons are not hyperlinked, the banner ads are not hyperlinked. The fact that the news articles are weeks apart…. 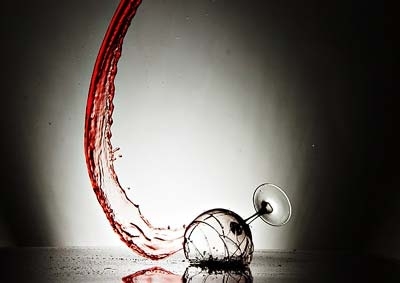 An article, written by ‘ Angelica Carter’ on 12 July 2011 got us thinking. How could a journalist (who does not exist), post an article on a website in 2011 when the website didn’t exist before 1st April 2016, went on to submit a fake DMCA to Google, hoping that she succeed ? Well, if it could work for cleveland.com, it could work for decanter.com as well. At least that was the plan. CaglaryHerald.com was previously owned by ‘Tom McLaughlin [email protected]’ till 1st April 2016, when it was purchased by our perpetrators and set up as a fake news site. http://newgenerationnews.esy.es/ is our favorite FAKE WEBSITE, and you’ll hear a lot about it in our investigations. We have already found 31 fake DMCAs served up using this fake news site, hosted for FREE ? on www.esy.es , a free web-hosting platform by Hostringer.com. News stories mentioning scams and improper conduct resulting in a loss of millions of dollar, is perhaps a good reason to try and do everything in your powers to hide these links on Google. It however seems that APW Asset Management or the firm they hired did not care about ethics or law, and committed these crimes. We understand that it’s a result-oriented business, this reputation industry. What we want these people to know, is that THERE WILL BE CONSEQUENCES. 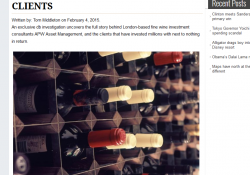 EDITOR’S COMMENT : For those who might ask – ‘why and how do we interject that ‘APW Asset Management ‘ has something to do with this fake DMCA. Couldn’t it be a coincidence ?’, we will say this – When someone goes and creates a whole new fake news site, falsifies his/her identity and submits fake DMCA to try and de-list some very targeted content on Google, it signals intent and a plan. It is obvious that ‘APW Asset Management ‘ or someone they hired was directly involved in this crime. APW Asset Management also cannot plead ignorance in this matter, since this notice on Google search is hard to miss, really.